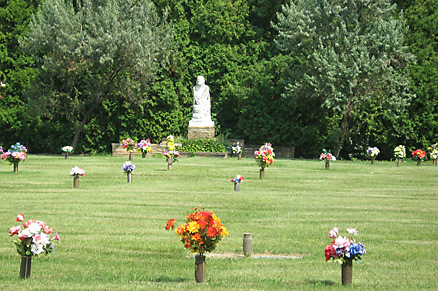 Highland Memorial Park is a 70 acre cemetery located in the city of New Berlin. In 2018 we celebrated our 90th anniversary. The cemetery has been owned by the Porter family for the past 71 years. Our goal at Highland Memorial Park is to serve our customers with a friendly attitude and to give them the best service possible. Its important to us to make their experience of burying a loved one as easy as possible. We are committed to providing services and maintaining our grounds to the highest standard, ensuring the most beautiful park possible for loved ones to bury their family members.